McDonald’s said it would lay out the initial details of its turnaround plan May 4. Investors largely cheered the early signs of action and drove shares as high as $99.35 Wednesday, their highest level in a nearly a month. “My overall vision is for McDonald’s to be seen as a modern, progressive burger company delivering a contemporary customer experience,” Easterbrook said during his first quarterly conference call as CEO, citing his operating principles, which include a greater emphasis on personal responsibility and being more focused on the customer. 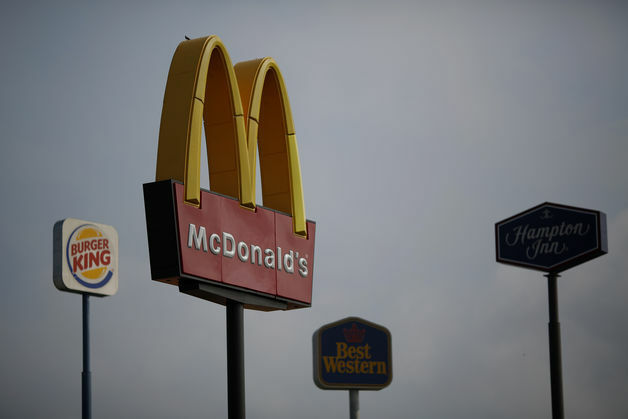 Oak Brook-based McDonald’s said it plans to close about 350 poorly performing restaurants this year, including 130 in Japan and 220 primarily split between the United States and China. That’s on top of the 350 stores that McDonald’s had planned to close around the world. Closing weak locations is one step toward making the system healthier. “Sometimes there’s addition through subtraction,” said David Henkes, vice president at Technomic, a restaurant and food industry research consulting firm. The company plans to lay out the first steps of its turnaround strategy just weeks after Easterbrook took over, but the process will likely take years to play out. In the U.S. alone, McDonald’s systemwide sales top $35 billion. In order to grow 1 percent, it would need to add $350 million in sales, essentially the size of the entire Corner Bakery chain, Henkes said. First-quarter sales at restaurants open at least 13 months, or comparable sales, fell 2.3 percent as fewer customers visited McDonald’s. In the United States, comparable sales dropped 2.6 percent, as products ranging from seasonal Shamrock Shakes to the limited return of Chicken Selects were not enough to overcome tough competition. Analysts, on average, expected first-quarter comparable sales to fall 1.8 percent, according to Consensus Metrix. They had anticipated comparable sales declines across the chain’s major regions, including a drop of 2.1 percent in the United States. McDonald’s global comparable sales have fallen in four consecutive quarters, something that had not happened in a dozen years. McDonald’s expects its sales weakness to continue in the near term. It forecast a decline in global comparable sales for April. In March, such sales fell 3.3 percent, a steeper decline than in the first two months of the year. McDonald’s faces wide-ranging competition, from fast-growing burger chains such as Five Guys, Shake Shack and BurgerFi, to fast-casual chains such as Chipotle Mexican Grill, where first-quarter comparable sales jumped 10.4 percent. Breakfast was one bright spot. Kevin Ozan, the company’s new chief financial officer, said U.S. comparable sales during breakfast were “slightly positive” but were offset by weakness during the rest of the day. “That’s where they’re best in class right now, they own breakfast,” Henkes said. This month, McDonald’s began testing all-day sales of certain breakfast items at some locations in the San Diego area. Edward Jones analyst Jack Russo, who has a “buy” rating on McDonald’s shares, said he would like to hear more on the May 4 call about closing of underperforming stores, new product innovation and mobile and other technology efforts. Easterbrook and Ozan gave some updates on such topics during Wednesday’s call, while planning to give more details in May. Ozan said the current strength of the U.S. dollar was likely to reduce this year’s earnings by 40 cents to 45 cents per share. He also said prices in the United States were up about 2 percent in the quarter as the company dealt with higher beef prices and other commodity costs. Easterbrook and his team — including a new president of the U.S. business, Mike Andres — have wasted little time in implementing sweeping changes. So far this year, McDonald’s has overhauled everything from its ingredients to its employee compensation to its advertising as it tries to boost sales around the world. It continues to face criticism over issues including the nutrition of its food and its plan to raise wages, which only impacts company-owned locations, not the vast majority of U.S. restaurants run by franchisees. A survey issued this month by industry publication Nation’s Restaurant News shows the battle the company faces in the United States. Consumers in an online survey rated 111 limited-service chains on 10 attributes including food quality, likelihood to recommend and service. The winner was In-N-Out Burger. McDonald’s was No. 110, just ahead of the lowest-ranked chain in the survey, Chuck E. Cheese’s. Easterbrook quoted the corporation’s founder, Ray Kroc, in his assessment of what the company must now do in its turnaround effort. First-quarter profit fell to $811.5 million, or 84 cents per share, from $1.2 billion, or $1.21 per share, a year earlier. Revenue fell more than 11 percent to $5.96 billion. Click here to read the full story at the Chicago Tribune.